A selection of apparel, gifts and useful things featuring our own Pearl and a choice of slogans. Tell the world what you'd rather be doing! Hint - after clicking through to Cafepress, change your currency to GBP using the button at the top of the screen. Knit along with Pearl and her words of wisdom! You can read the exploits of Yvonne the Sheep at handspinner.co.uk/yvonne. 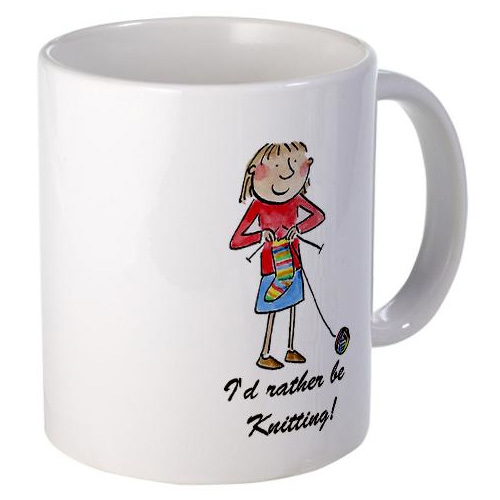 Here is her Cafepress shop where you can support the author and at the same time avail yourself of some fantastic and useful sheepy items - cards, mugs, project bags, clothing, even posters and prints.